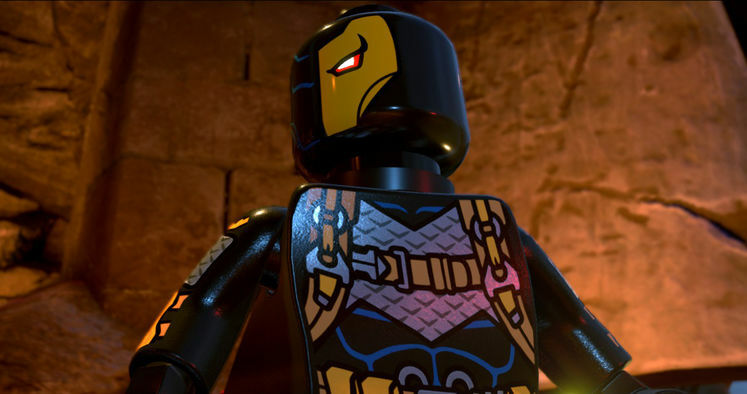 LEGO DC Super Villains is out now and there’s a lot of hidden items and characters scattered about the game to find. But the most fun items to find are the LEGO DC Super Villains Red Bricks. 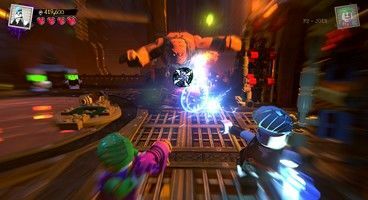 We’re here to show you how to find the Red Bricks across LEGO DC Super Villains all levels quickly, easily, and with no trouble – and get those cheats! There one Red Brick hidden in every level, including the five bonus levels – making 20 to find in total. Each one gives you a special cheat to activate, although once found you’ll have to take it to STAR Labs in Metropolis to activate. Here’s where they all are! Just remember, you’ll probably need to go to the levels in Free Play to get all these – and when you go to Level Select on the menu you can see which part of the level the Red Brick is located! Level 1 – New Kid On The Block: Helium Mode. A gold statue near the top of the clock tower is holding it. Level 2 – It’s Good To Be Bad: Paint Splat Footprints. In the fish tank on the second level. Use Reverse Flash to get it. Level 3 – S.T.A.R.S. In Your Eyes: Big Head Mode. Hit all five targets in just a few seconds in the main area. Level 4 – The Harley And The Ivy: Collect Guide Studs. Destroy the rooftop statue, above the party at the end. Level 5 – Arkham Barely Believe It: Minikit Detector. During the Hugo Strange fight, beam the golden grate and head down. Level 6 – Con-Grodd-Ulations: Attract Studs. Grow light bouncing plants and light up the center dome. Level 7 – Oa No! : Confetti Punch. On a waste barge. Level 8 – Fight At The Museum: Studs x2. Mirror jump your way to the red brick on display. Level 9 – Sea-King Trouble: Fast Interactions. Sing to a sea beast. Level 10 – Gridlocked: Pew Pew Mode. Enter the three digit code into the safe. Level 11 – Apokolips WOW! : Gold Brick Detector. Hypnotize the party Parademon. Level 12 – The One With The T. Rex Mech: DC Captions. Ring the Amazonian bells. Level 13 – They Think It’s Owl Over: Character Token Detector. Go super fast on the treadmill and collect the red brick parts. Level 14 – Steppenwolf Surprise: Demolition Mode. A mirrors jump over from the corner. Level 15 – Darkseid Of The Moon: Stud x4. Hidden at the top of the first area, on Darkseid’s Throne. Bonus Level 1 – Granny Knows Best: Stud x6. In Granny’s bathtub. Bonus Level 2 – Man To Mantis: Super Slap. There’s a Bat switch under the big gear. Bonus Level 3 – These Boots Are Made For Stompa: Stud x8. Need to grow a flower during the Stompa fight. Bonus Level 4 – Arma-Ghetto Superstar: Party Hat Mode. Graffiti on the wall near the start. Bonus Level 5 – You Kanto-Uch This. Stud x10. Sneak into the trophy room.